I would like to thank Amin & Marcel and Sebastian of Vision Ears for loaning me the VE5 for this review. No incentive was given for a favourable review. Vision Ears is a small custom IEM company based in the German city of Cologne and was founded by Marcel Schoenen and Amin Karimpour. Marcel and Amin have a crack team of audiophile artists at their disposal to build some of the best looking and sounding CIEMs available today. Just take a look at their Instagram and you will see what I mean by "best looking", they are gorgeous works of art that are right up there with the very best CIEMs in the world. Initially though I was drawn to Vision Ears because of a single review, @Jelt2359's review of the VE5 (link). How Jelt described the VE5 sounded so alluring that I just had to hear them for myself and so I wrote Vision Ears to ask if there were demo opportunities in London. There weren't, but that didn't stop Vision Ears from providing me with the most impressive bit of customer service I have come across to date. They did not just offer to send me a demo, which was also possible, they actually built a complete demo set of their line and sent it off to my audiologist, Gisele Flower of Aid2Hearing. "You did what?!" was my completely astonished reaction, before realising that I could now hear them all and I quickly shot off an email to Gisele... "Don't need an appointment, I will park myself in the waiting room! When are you in?" Soon after I was spending a lovely time in the luxurious comfort of her Harley Street waiting room enjoying the Vision Ears line up. I walked away with two thoughts: "Those VE8 ticked every single box imaginable!" and "I need to hear those VE5 again!" Afterwards I wrote my impressions of the IEMs I had heard (the VE3, VE4, VE5, VE6 and VE8) on the head-fi forums and happily for me the guys at Vision Ears liked them enough that they were prepared to lend me a demo pair of the VE5 for a full review. I think that the little celebration dance I did upon hearing that says a lot about how much the VE5's qualities resonated with me. All listening was done with my AK70 from SE out (stock cable) and balanced out (aftermarket cables). The VE5 are all about the midrange and they do this in a very particular way. They have a unique presentation that is exactly the reason why I so much wanted to hear them again. The VE5 feel to me like they balance on the border between analytical and musical, perhaps ever so slightly more toward the analytical to create the characteristic restraint and control. The VE5 do everything "proper". There is no exuberance or unnecessary flair, there is just excellence. This is right on the edge of coherency and it is a fine balance that for some types of music just does not work. 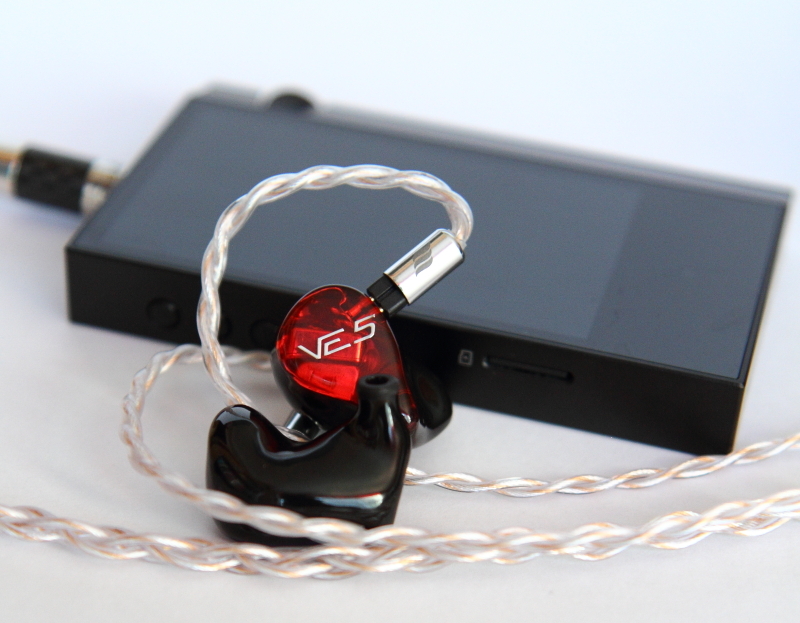 Don't listen to rock or EDM, even swing jazz, although quite enjoyable, does not do justice to the excellence of the VE5. Solo performances however are nothing short of stellar. 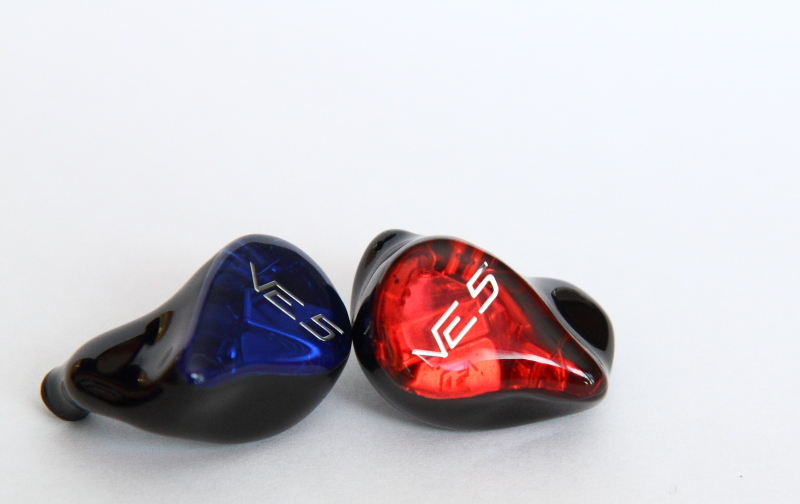 Be it instrument or vocal, when attention is given to a single performer the VE5 present every nuance in the most strikingly beautiful way and they are capable of rendering music with tangible emotion, stronger than with any other IEMs I have heard. To me the VE5 are real specialists. The overall tonality is slightly brighter from what I would call natural, but I will emphasise that I am used to hearing warm and smooth IEMs. The VE5 are brighter and clearer than anything I have had the pleasure of spending time with and Vision Ears have managed to do this incredibly well. It is so even and balanced that the VE5 have taught me the true meaning of the term "brightness". If done as well as this, they can be just as non-fatiguing as the most warm and smooth IEMs out there, and the VE5 certainly are. I can listen to these all day without a hint of fatigue. The VE5 have a good size stage that I find still manages to provide a somewhat intimate feel. The image has outstanding clarity and air, and provides excellent layering and detail retrieval, but I do find that it is very dependent on the type of music. If a lot is going on in the music the VE5 can throw up too much detail and it not just looses some of the harmony, there is also no chance to appreciate the detail that is there. I highly recommend sticking to music that is focused on a voice or instrument with not too much going on around it and then the VE5 show their true excellence. Bass is certainly not a priority with the VE5, it is reduced and never intrudes to spoil that crystal clear signature, but you just have to pay attention to that cello in the background to hear that the bass is still natural sounding. There is not a lot of sub-bass extension, which means that impact in this area is reduced. If it were there I dare say it would have ruined the unique character of the signature. The VE5's bass is not about adding excitement; it is about doing things proper. The tympani cannot be overpowering and cello needs to be positioned in the right place to let the stage breath, but enough mid-bass is there to ensure that the cello is easily found and sounds impressive. I specifically put on a cello suit to see how the instrument sounded without any distraction and was astounded by how natural and detailed it was. Have I ever heard the resonance of the air vibrating inside a cello quite like it? The textures of the strings? The movement of the bow? Certainly not, and that C-string, the thickest of the four, is presented with such a beautiful natural weight and texture to it. So much so that a solo cello makes me question whether I should have called the VE5 "slightly brighter than natural". I think the overall image does come across as such, but the bass is certainly not "light". The mids are of course the star of the show, and while I feel the VE5 are slightly towards the analytical, it is by no means that they are all "stiff upper lip". With most, if not all, IEMs I have heard to date the bass and treble have been important elements to add excitement and emotion to the signature; impact from the bass and sparkle from the treble. The VE5 however draw emotion straight from the instruments and vocals in the midrange. When I listened to Sarah Chang playing Paganini I was struck by how tangible the emotion of the violin was. I could genuinely hear every movement of the bow as if she was playing right there in front of me. The same with one of my favourite songs by London Grammar, 'Strong', where Hannah Reid's stunning voice gets centre stage and every nuance comes through wonderfully. And again the same goes for an old favourite of mine, Air's 'All I Need', of which I have special memories and never have those memories felt as strong as when I listened to it with the VE5. It is astonishingly good and this is where I wonder if there are many other IEMs, at whatever price point, this good in rendering a solo performance or music with a focus on one voice or instrument. I have no reservation when I say that I consider this excellence in absolute terms. The particular characteristic of the VE5's mid-forward signature makes it difficult to predict what music will work well and what does not. Rock in general does not have quite the excitement I feel it needs, yet the Belgian Indie Rock band Intergalactic Lovers sounds incredibly good. I also grew to really like listening to Travis that with the song 'Sing' (I am sure everybody remembers the food fight from that video!) sat right on the edge of cohesion and ended up sounding gloriously detailed. I love this characteristic and I feel it really sets the VE5 apart as unique sounding CIEMs. The treble of the VE5 is similarly placed to the bass; it is pushed back slightly to give room for the mids to shine. I am not sure if I would use the term 'attenuated' because of the VE5's brightness. The treble is also of a very good quality and extends far and is most of all very even to ensure the VE5 remain free of any harshness or fatigue. The trade-off in the positioning is the same as for the bass, music that asks for treble sparkle will not sound quite as delicate, such as Tchaikovsky's 'Nutcracker', which looses that characteristic sparkle that always reminds me of Christmas time. Not because there is no sparkle, it just sits behind those glorious mids not attracting too much attention. The treble nonetheless adds plenty of air and resolution, which is particularly noticeable in a few important areas. Strings of violins have great texture at the highest notes and you can get a real sense of the techniques the violin player uses, especially with tiny fast movements that add speed and airiness to a piece. The highest notes on a piano too, sound delicate and precise. These are two areas where I often find IEMs to struggle, but the brighter tonality and the high resolution really pays off here. The voice of soprano Elin Manahan-Thomas too remains crystal clear and even, as she pushes for the highest notes, staying free of the sibilance that can easily occur in this area. I am very happy to see that Vision Ears have gone for a sensible stock cable that is supple, has decent ergonomics and most importantly of all, no memory wire. Essentially I see no immediate reason to replace it, but I will happily admit to being a bit of a "cablephile", so I am sure I could find an excuse to try out aftermarket cables if I needed such an excuse. Luckily I don't, as Vision Ears are well known for their collaboration with Effect Audio. This even led to the very exclusive VE6XC Limited Silver Edition; a retuned version of the VE6XC that is internally wired with Effect Audio's propriety Litz Silver wires and comes with a bespoke 8-wire Leonidas. So I tried out a few different (slightly less exclusive) cables I had available myself to see how the synergy would work. Effect Audio's very popular entry level, pure copper cable. I quite liked this pairing, but there is a clear trade-off. Ares II adds warmth and gives the VE5 a wonderfully easy-going smoothness. The bass section moves a bit forward and the tonality becomes more natural, giving instruments a bit more body. Vocals too get a bit more warmth and sound smoother. That smoothness does mean some of the texture is lost and this is most noticeable with strings, where the excellent detail of the VE5 is traded in for a honey-like smoothness. It is very pleasant to listen to, but in my opinion not in keeping with the character of the VE5 and therefore although pleasant to listen to, not a cable I would opt for over the stock cable. This is a cable I happened to have on loan and because it is a similar entry level, pure copper cable to the Ares II, I was interested in hearing the differences. Much like with the Ares II the result is very pleasant to listen to, but not in keeping with the VE5's character. The Exo Copper lifts the bass a bit more and adds a treble lift to it as well. This results in more air than the Ares II and the Exo Copper maintains more of the VE5's texture in the string sections, but the whole signature becomes much less mid-forward. This makes the VE5 more versatile and it seemed that most music worked well, but equally, the VE5 no longer reached that level of excellence that made them so unique. Lionheart is Effect Audio's second cable in the 'Heritage Series' and I recently got the opportunity to review it (link), which coincided perfectly with my time with the VE5 and I happily took advantage of that. Not in the least because this pairing worked very, very well. Lionheart adds a little bit of warmth to the VE5's signature and this results in what I feel is an exceptionally natural sound. Instruments come through incredibly well and Lionheart pulls the VE5 away from the edge of cohesion to sit more comfortably on the side of musical, rather than analytical. There is a wonderful harmony to be found here and like I indicated in my Lionheart review, it is like a crystal clear summer-warm stream where the notes flow through the image. However, Lionheart also manages to stay close to the characteristics of the stock VE5. There is a bit more versatility and I for instance thought it worked well for Caro Emerald. Lionheart's added warmth reduced some of the airiness to pull Caro's voice closer to the instruments, which with the stock cable felt a little too far separated. This created more harmony and made the swinging jazz sound more fun. Most importantly in my opinion, Lionheart pushes the VE5's excellence with solo performances even further. The emotion of Sarah Chang's violin is stronger and there is a hint of sweetness to female vocals that oozes emotion as I listen to Elin Manahan-Thomas sing Hildegard of Bingen. At the same time I also find male vocals to come through with authority. With the stock cable the VE5 slightly favour female vocals, but with Lionheart both sound equally excellent and balance exceptionally well, for instance, with large scale choral music. While I could understand that some people might prefer the slightly brighter overall signature with the stock cable, for me the pairing of the VE5 with Lionheart is as close to perfect as I have heard. It is incredibly clear and natural sounding, vocals are astonishingly good and it is just the sweetest most alluring sound I have ever heard. The VE5 are expensive CIEMs that in my opinion cater to a particular niche and therefore their value proposition is in how well they do for that particular niche. At this price they need to bring something extra special in order for them to present an attractive proposition. With the VE5 Vision Ears have nailed it; they are unique sounding CIEMs that excel at vocal music and solo performances. For most people they might not be best suited as "daily drivers", but I expect they will be very hard to beat as a pair intended specifically for mid-range performance. Pair the VE5 with the Effect Audio Lionheart and they become exceptionally natural and alluring. If you are looking for high-end, mid-range specialist CIEMs, then contact the great guys at Vision Ears and ask them to help arrange a demo, it will be worth it! doctorjazz, Deezel177, ezekiel77 and 7 others like this. Vision Ears (VE) is a relatively young company from Cologne, Germany, making some very interesting Custom In Ear Monitors. The company was only founded in 2013, but don't you be confused – the people behind it have over 12 years of experience in the CIEM world; They were co-owners of a company called Compact Monitors, which both sides chose to leave in order to establish their own new and separate companies, VE and Rhines Monitors. 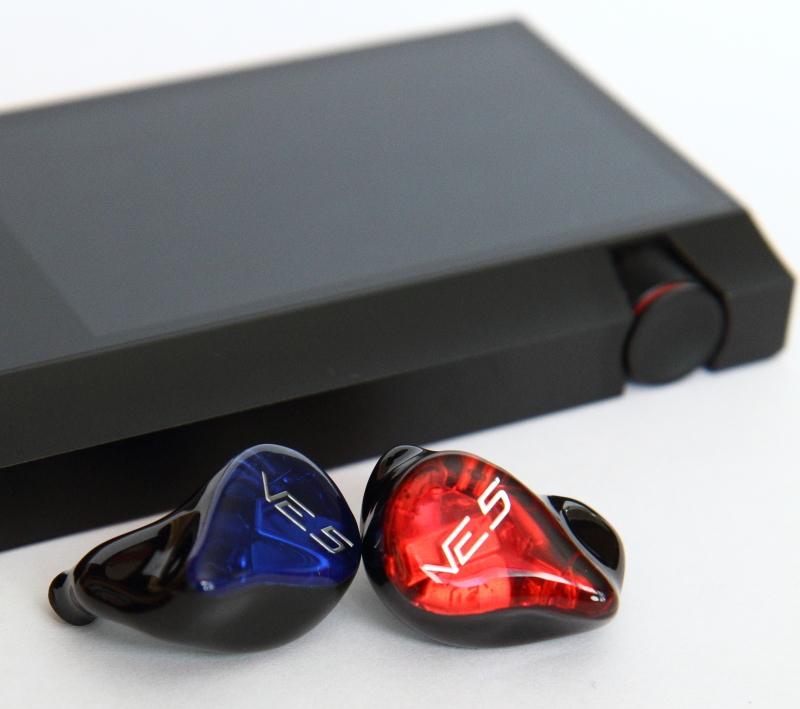 At first they only had the original four Compact Monitor in-ear models in their lineup, but since then, they've already released two "pure-VE" models, Firstly the VE6, in 2014, and then the VE5 this year. This review's subject is going to be the VE5, so let's start talking about it; As you can understand from its name, it uses 5 drivers, balanced armature ones to be more specific, in a 4-Way design. The VE5 is described in the company's website as a CIEM with focus on vocals as well as on clarity, resolution and airiness in the treble. It comes at a price of 1399 Euros, not cheap at all. This pricing makes the VE5 a premium product; but the question is: does it provide you with a premium experience and performance as well? Packaging - Our experience with any product starts with the packaging – it gives us the 1st impression about the product. The packaging here is minimalistic, and it comes in form of thin, purple paper with VE's logo on it, which is wrapped around the VE5's case. It surely isn't your typical packaging, but the purple colored paper gives you a luxury feel. Accessories - Moving on, the VE5 comes with VE's standard black-colored aluminum case, which isn't small, at a size of 15.5cm x 10cm x 5.5 cm. I would say that it's quite similar in size to that of the case of the previously reviewed Rhapsodio RTi1. The special thing about this case is that VE provides you with an option to customize it. This means that you can either send them a logo or a black & white picture via e-mail and they'll have it laser-printed onto your case. There are numerous pictures of customized cases on their Facebook page, if you'd like to see some examples. I, being a big fan of Michael Jackson's music, chose to have an illustration of his silhouette to be printed on my case, with the result being beautiful and very high quality, and even better than I've imagined. They also print your name on the case, as well as the model number. The case is one of the most aesthetically pleasing ones that I came across, and not only that, but its usability is top-notch as well. There is plenty of space inside of it, which is divided to two areas by a big cover; the main one is for storing the earphones, while the other one is for storing the accessories. The accessories can be stored inside of two small pockets which are placed in the interior of the case's "door". 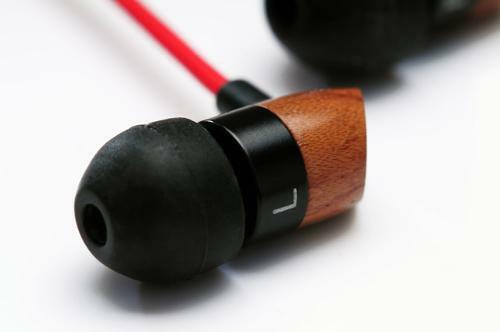 The case's interior is coated with rubber in order to protect the earphones from shock when the case is moved. That's it about the case. You can also get 2 additional cases (if you choose to pay some extra money), which are more portable than the one mentioned before – one of them being a soft and small one, while the other one is round and is made out of metal. I think that VE should include one of these two cases in the "basic-package", since the one that is included isn't so portable or "pocketable", and for such a price you're paying for the CIEMs, the basic accessories package should be better. Manufacturing – My VE5 took around 7 weeks to be completed, and that's around the company's standard turnaround time. In comparison to other companies in the CIEM market, their turnaround time is decent, although there are some companies which complete the manufacturing faster. It should be noted that VE requires closed-mouth ear-impressions, as opposed to most of the companies. Design – Vision Ears offers a lot of different customization options for their in ear monitors. 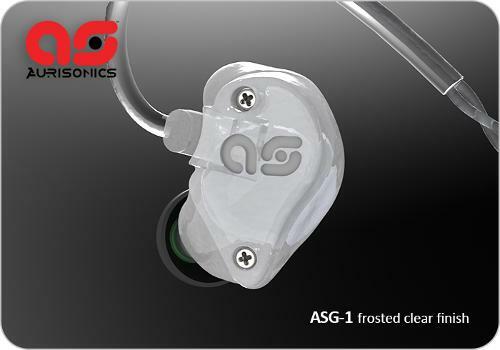 You can select your desired color(s) of shells, and they also offer to print your name on the IEMs and to add the company's logo/model-logo to the faceplates, all for free. You can select special-faceplates from a wide range of types (such as wood, carbon, mother of pearl, and more), and you can also get an artwork printed on the faceplate, all at an extra cost, which varies based on your selection. Last but not least, they also let you choose your cable's color too, so it would fit your IEM's design. You can find all of the options and some sample photos in VE's "sample book". My pair was designed by the VE team since I couldn't decide about a specific deisgn. My IEM has "Smoke Grey" colored shells, a VE logo on one faceplate and a model logo on the other one, and for the faceplates themselves it has their latest offering, the "mirror-faceplate" in silver (there's a variety of colors to choose from with this kind of faceplate). The result is a beautiful IEM, which really fits VE's description of it (when we spoke about the design) "a technological looking one"; it truly looks like something that came from the future. I'm very happy with the design, it's just what I expected when giving them the green-light to go with it. I really like the mirror-faceplates, they really give it a luxurious feeling when combined with the silver-3D logos on top of them. It has to be my favorite CIEM looks-wise. Building Quality – The VE5's acrylic shells are very well made; they are ultra smooth, very clear, seem to be tough, and have zero bubbles present in their surface. They are some of the most well made shells that I've seen, the level of craftsmanship is very high. In addition, my name printed on the shells is printed in a very high quality (in red on the right shell and in blue on the left one), and without any of the imperfections which I've had with other CIEMs in my collection. Unlike most of the custom in ear monitors around, the VE5, like all of VE's offerings, has only a single bore in its tip, which leads to easier cleaning compared to the common multi-bore'd CIEMs. The VE5 utilizes flush cable-connection sockets of the 2-Pin type, meaning that you can virtually use any 2-Pin cable that you'd like to with it. The cables connectors are held a bit too tight by the sockets in my opinion, which could be a bit frustrating when trying to remove the cable, but on the other hand, this also assures that it'll not be loose or fall out of them. Speaking about cables, I think that the standard twisted-cable that comes with the earphones is more than enough to settle with. It seems to be of high quality, and I am very happy with it for its building quality as well as for its ergonomics. It has enough flexibility and softness in order to offer good comfort, but it also doesn't feel fragile. It has a small, low-profile, Y-split made out of plastic, which has a rubber-made chin slider on top of it, that when not in use looks like a part of it. The cable also has a (VE-branded) integrated cable-wrap on it, which makes it easier to nicely store the earphones when not in use (this is actually quite similar to what DUNU has on their cables). The cable ends with a small, straight 3.5mm connector, which has a good strain-relief on top of it and is golden plated. Comfort and Fit– the VE5 is actually the most comfortable and well-fitting custom in-ear monitor in my collection. I don't know how they do it, but it's just spectacular. After trying the VE5 for the 1st time everything else in my collection felt badly fitting in comparison. I never had such a well fitting custom. The shells are on the tighter side of things, but their tightness does not cause any discomfort at all; it helps keeping the earphones in your ears, very well, I can assure you. I can also eat with them in my ears without experiencing the annoying movement that usually happens when eating with CIEMs in your ears. I also found the VE5 to be comfortable to sleep with, as they do not stick out of the ears, they sit there quite flushly. The included cable offers great ergonomics; it has lightweight heat-shrink plastic ear-guides (instead of the common memory-wire, which I don't like at all…) which haven't caused me any fatigue even after hours of use. 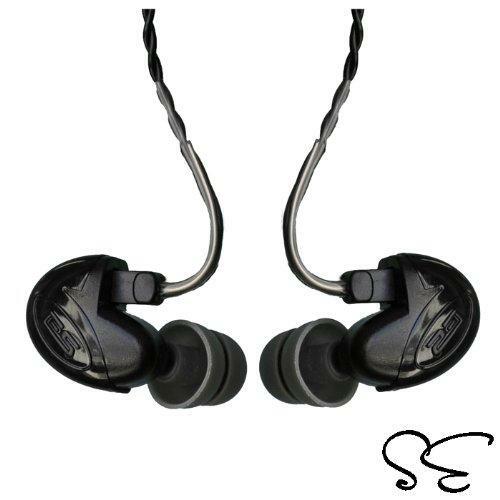 To conclude, the VE5 offers fit and comfort that no other CIEM that I've tried can, they're just perfect in this area. Isolation - I found the VE5's isolation to be a bit better than my other acrylic-made CIEMs, probably due to their perfect fit, which blocks extra-external noise and allows improved seal over the competitors. Actually, the only CIEM that I have that isolates better than the VE5 is the M-Fidelity SA-33, which is a unique one, since it's acrylic based, but is filled with silicone, and it has superb isolation due to this special design. Sound - For this review I've mostly used my iPhone 6, loaded with iTunes Store purchased music (256 KBPS M4A files) and with some MP3 320 KBPS CD rips. I've also used the Lotoo PAW Gold, and it was loaded with FLACs & WAVs ripped from CDs. The VE5 sounded quite good out of the iPhone, and using the High-End PAW Gold didn't add to its technical abilities, expect of a bit of additional detail across the spectrum. The VE5's sound is targeted towards vocal-lovers with its focus on the upper midrange. This also makes them good for stage usage by singers. In addition to being mids-focused, the VE5 is also musical and quite neutral, with great clarity across all of the frequencies. While being tight and well controlled, the bass isn't "shy" or anemic; it still has enough presence in order to satisfy most non-bass-head users, and it can be quite powerful if the track calls it. Of course it doesn't hit as hard as the BD4.2's & W500's bass, but please remember that the VE5 only has 1 BA driver out of 5 that produces bass in comparison to those two CIEMs, which have dynamic drivers for the bass (2 in the BD4.2 and 1 in the W500). On the other hand, its speed, clarity and cleanness are better than those of the dynamic-driver utilizing CIEMs mentioned before. The speed is actually something special, and it seems to me that the VE5 is one of the best in this department in comparison to other CIEMs and IEMs that I've heard in the past. In addition to that, the punch is great as well. On the other hand, it does lack a bit in its deepness, I would've liked it to be more extended . All in all, the VE5's bass is what I would call accurate and enjoyable, and you'll most likely enjoy it if you are not a bass-head. As I said earlier, vocals are surely the highlight when it comes to the VE5's sound. Vocals are well bodied and full sounding and they have a great airiness to them. They are very musical, and sound somewhat "soulful" (I didn't find a better word for this description) in my opinion. In addition to that, they are also extremely clear and clean sounding and are very well detailed. I've heard in the past a few IEMs that had too much focus on the vocals to the point of causing annoyance, but in my opinion, the engineers at VE have managed to find the "sweet spot" in terms of vocal presence for an IEM that is focused on vocals, and I feel that they're present just in the right level not to cause any fatigue. The lower mids are less powerful and present than the upper ones, but they too are well detailed and clear. 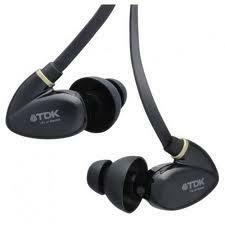 Unlike the bass, the treble extends very well and reaches to quite high frequencies. It is quite present, but didn't cause me any fatigue. Additionally, sibilance is negligible, and I've only noticed it in "problematic" songs, in low, not bothersome levels. Clarity is amazing, and the detailing here is as good as it is in the midrange, micro details are everywhere. The treble also has some marvelous airiness and a quite spacious feel to it. The sound-stage is not small, but neither it is the largest. It isn't bad by any means, it's just that there are some other CIEMs out there that offer a larger stage. Also the instrument separation is average, and I think that the VE5 does better with less-layered-tracks. Final Conclusions – The VE5 is a CIEM that I really like because of the premium experience that it offers; From the perfect fit and comfort, to the personalized case, the great craftsmanship, and most importantly, its sound. It has amazingly good upper-midrange and treble, and the vocals that it manages to produce are probably the best that I've ever heard; if you're a vocals-lover, it couldn't get any better for you than the VE5. On the other hand, the VE5 is not the most versatile CIEM out there, due to it being so vocals-focused. It doesn't sound bad with anything, but there are better C/IEMs out there for versatility. 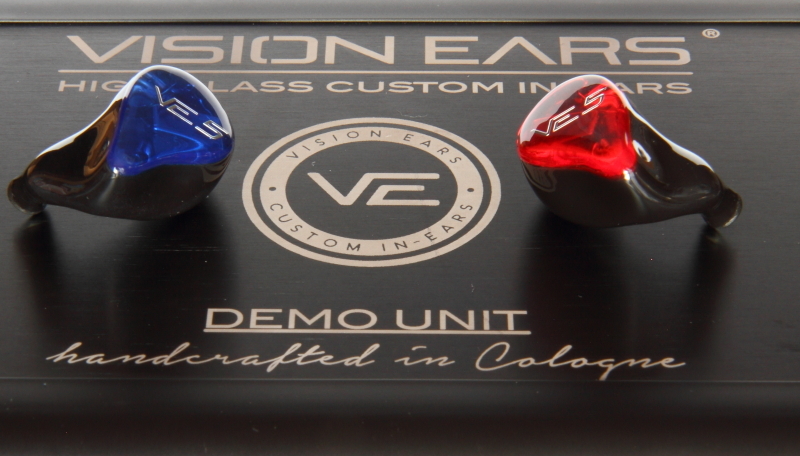 To conclude, Vision Ears did a great job with the VE5, resulting a very impressive vocals-focused custom in ear monitor. AllenWalker, proedros and h1f1add1cted like this.